Water is essential to all life…too little water and we die, too much and we drown. The same is true of the grass in our lawns. Water makes up 70% to 80% of the weight of our lawn grasses and the clippings alone are nearly 90% water. While most people are concerned about not watering their lawns enough. 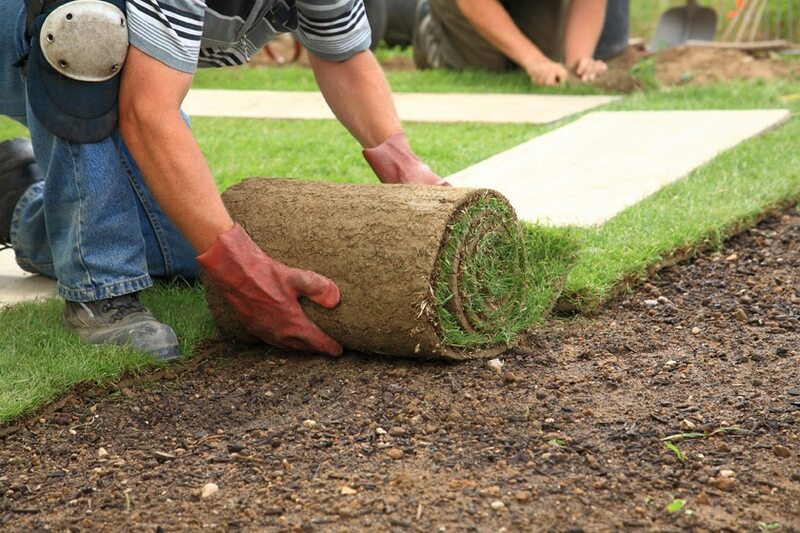 Following these new sod watering tips will help prevent lawns damaged or destroyed by over-watering. Watering Tip #6: if the temperature approaches 37( C (100( F), or high winds are constant for more than half of the day, reduce the temperature of the turf surface by lightly sprinkling (syringe) the area. 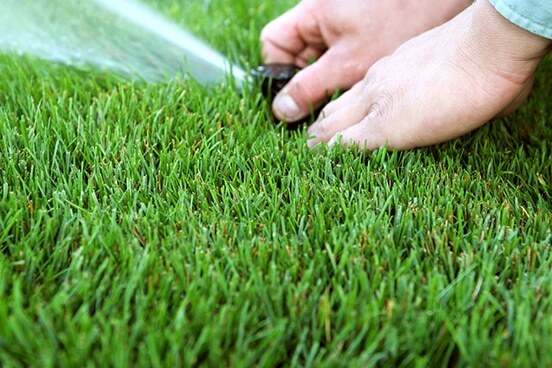 This sprinkling does not replace the need for longer, deeper watering, which will become even more critical to continue during adverse weather conditions.During the rest of the growing season most lawns will grow very well with a maximum total of one inch of water a week, coming either from rain or applied water. This amount of water, properly applied, is all that is required for the health of the grass, providing it is applied evenly and saturates the underlying soil to a depth of 10 to 15 cm (4 to 6 inches). Measure the amount of water in each can, checking for uniformity. Some variation is expected, but a difference of 10-percent or more between any two cans must be addressed by replacing or adjusting the sprinkler or relocating the system. One inch per week is the standard water requirement established for most lawns; however, this will vary between different turf species and even among cultivars within a specie. There will also be varying water requirements for seasonal changes and still more differences brought about because of different soil types. Thanks to the author. This piece is detailed. I’ve been wanting to grow the turfgrass, I was thinking watering about 30 minutes after laying the sod is too early. I’ll work on this, and I hope to get amazing results. The last time I tried this, I watered it about 2 hours after laying the sod, but I got a poor result.